Madeleine etc . : 19 - Will truth be granted a reprieve ? Will truth be granted a reprieve ? 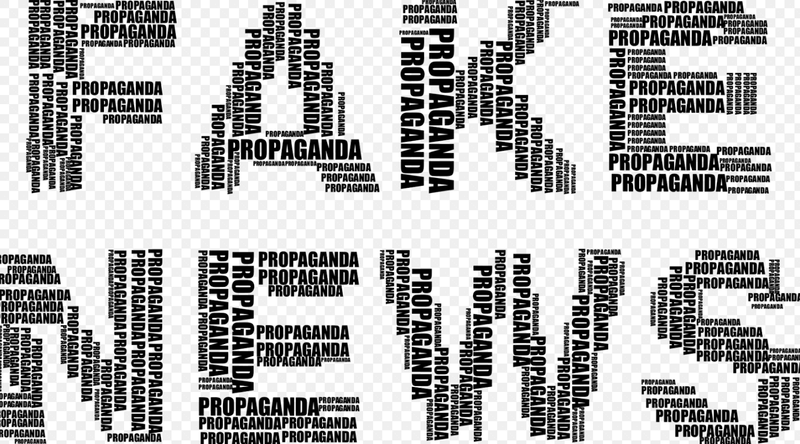 On January 30 2017, the HoC's Select Committee on Culture, Media and Sport, looking at ways to respond to the concept and phenomenon of fake news, launched an inquiry and invited members of the public to submit their views. Nine days before (January 21st), the White House Press Secretary, Sean Spicer, had accused the media of having deliberately underestimated the importance of the crowd at the inaugural ceremony of Donald Trump's presidency. It was false, but what he said was also common practice. DT's counsellor, Kellyanne Conway, questioned by Meet the Press, stated that SS had produced no falsehood but "alternative facts", which prompted this retort : alternative facts are not facts, they are untruths. KC likely meant that SS had given his interpretation of the facts, however with alternative facts she presupposed the existence of a parallel world where the powerful, excluding themselves from our common world, may decree with the certainty of impunity that inaccurate or misleading allegations are facts. Being believed or not is no issue, no heed is paid to credibility, any attempt of refutation being therefore neutralized. If it is socially worrying to see untruths along with opinions taken as facts circulating indifferently and inducing an altered perception of reality, indifference regarding fact checking appears even more worrying. Actually "alternative facts" is tantamount to "shut up". Is "post-truth" related to a rise of "post-ignorance" ? On January 31 2017, The Portuguese Supreme Court of Justice (STJ) confirmed the Appeal Court's ruling in McCanns v Amaral et al. According to the appellants' lawyer, Isabel Duarte, for nearly nine years the McCanns had been bearing the stigma of innocence with a double punishment, the loss of their child on one side, the persecutions of a former police inspector (G. Amaral) on the other. Dra Duarte had set up her allegations upon the conclusion of the prosecutors' July 2008 dispatch which settled the filing of the criminal investigation as no evidence had been obtained of the practice of any crime by the suspects (the MCs and another person). Dra Duarte improperly assigned to that filing dispatch the value of res judicata establishing the innocence of her clients. The STJ judges, who were not inclined to refer to untruths as "alternative facts," recalled that the filing dispatch had been determined not by the prosecutors' conviction that the appellants had not committed any crime (article 277 of the CCP), but by the impossibility for the Public Ministry to obtain sufficient evidence of the practice of crimes by the appellants (Article 277-2). As to the main reason behind this impossibility, the judges shortly alluded to, whereas the issue of the McCanns' innocence or guilt concerning the facts leading to the disappearance of their daughter was out of scope. According to the STJ judges, whose ruling refers inter alia to the prosecutors' doubts about the story told by the McCanns and timeline's discrepancies, it was not acceptable to consider that the filing dispatch, based on the insufficiency of evidence, should be treated as evidence of innocence. Saying so as they had to respond to the appellants' allegations, the STJ judges inescapably let doubt invade the entire space of the McCann case, a space that had been occupied by their innocence for 9 years thanks to a press release organized by their PR, Mr Mitchell, on July 21st, to launch the news that his clients had been cleared. On that very date the Portuguese Public Ministry had previously announced in a short communiqué the filing of the criminal investigation into the disappearance of MMC as no evidence of crime had been found, with the effect of lifting any arguido (suspect) status. The same communiqué also stated that those who had the legitimacy to do so (the McCanns for instance) could request the opening of the instruction phase or the reopening of the inquiry, a point that Mr Mitchell did not comment. Whether Mr Mitchell misled the public intentionally or not is off topic. Nevertheless following Mr Mitchell's press release all national and international newspapers titled deceptively "McCanns officially cleared as police shelve investigation", "McCanns may sue police over suspect status", "McCanns threaten to sue Portuguese police over bungled Maddy probe", McCanns' anguish : police should be in the dock", etc. Of course this example of dis- or mis-information is just one illustration of a multiform phenomenon, but interestingly, although Mr Mitchell's version of the Public Ministry's dispatch was criticized on social media, the MSM turned a deaf ear. Even after the PM's dispatch was published and later translated, no fact checking was carried out, perhaps in order to be politically correct. The fact that the highest jurisdiction of Portugal indirectly ruined the erroneous interpretation of the dispatch archiving the inquiry into the disappearance of MMC just one day after the HoC's appeal to submission concerning disinformation was pure coincidence but sounded as requiring to take advantage of it. As a foreigner, I asked whether I was allowed to send a submission. The Committee Clerk replied that it was open to overseas citizens. I chose to understand "European citizens". My submission (Truth of Facts or Defeat of Truth ?) can be read here or there. Meanwhile campaigners against tabloid journalism urged people to flood the Inquiry with concerns about inaccurate reporting in the MSM newspapers. Although the terms of reference did not suggest that the Inquiry would not cover fake news published by members of IPSO, the Chair of the Committee, Damian Collins MP, claimed that such concerns would not be considered : they should send all those to IPSO, that is the body that’s been set up by the newspaper industry... The issue at the moment is if you’ve got concerns about accuracy there is no one to complain to about a fake online story. Speaking if IPSO and curiously enough, a serious case of inaccuracy on various points (and not of biased interpretation) surged last autumn : McCanns are currently challenging Gonçalo Amaral at the European Court of Human Rights in Strasbourg to stop him from cashing in. I experimented sending a complaint (which, as well as the request of review and the exchange of emails, can be read here or there) first to The Sun and then to IPSO. IPSO did not even carry any regulatory investigation, which proves, if necessary, that this organism is not an independent or effective regulator for the press. 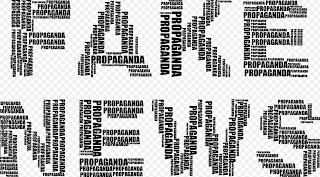 Why, on the topic of fake news, wouldn't the traditional media present today, as they did in the past, the same type of threat as the social media that worry so much the authorities ? False newspaper stories (cf. the long-lasting "jemmied window/shutter rumour") have often a much wider circulation that those published on obscure websites, hence being much more damaging. Very recently, on March 2, a Daily Mail article on Netflix new documentary about Madeleine McCann wondered whether Gonçalo Amaral, who is still embroiled in a long running bitter libel battle with the McCanns, would take part. As I protested that the lawsuit MC v Amaral et al, which never was a libel one, was over, the Daily Mail replied that they had been advised by Kate and Gerry McCann's Portuguese lawyer Isobel (sic) Duarte that they lodged an appeal with the ECHR against the Portuguese judgement after Mr Amaral won a libel action... deducing it would indicate that the dispute was still ongoing and 'long running' in that it had not yet been settled..
Until recently, one could believe that the rectification of history and actuality was the sinister appanage of totalitarian regimes. Under the reign of Big Brother facts are fragile. What is happening to our democracies ? Since we are not allowed to choose the time when we are given to live and die, we better try to understand it.